American democrats are not containing their MeToo mobs to the United States. The attacks are now spreading across the globe. Socialist democrat Julia Salazar announced that she is a victim of sexual assault. She declared that five years ago, David Keyes did something to her, without saying what it is that he did. Keyes is an American who recently became a prominent media representative for Israel's Benjamin Netanyahu. Keyes immediately refuted the accusations, stating that he and Salazar engaged in consensual contact. “There was absolutely no coercion in our encounter, ” he declared. He then pointed out that Salazar has a history of "dishonesty" and accused her of making yet another false claim. Keyes was referring to Salazar's history of misinforming the public about her personal background for political gain. Salazar has been caught outright lying during her campaign trail. Earlier this year, Salazar had audaciously claimed that she was an immigrant from Colombia who struggled financially growing up. This was a lie. She was born in Florida, and she had hundreds of thousands of dollars in a trust fund. Why the deception? Likely because it is fashionable to be a victim these days, and the democrats' victims du jour were immigrants when the lie spread, an attempt to win office via false victimization. Salazar characterized the lie as "inadvertent misrepresentation." Be sure to add this term to your leftist dictionary as the translation for the word lie. But it didn't stop there. Salazar, who campaigned on strongly anti-Israeli views, claimed that she was a Jew who chose to support the Palestinians over her own people. But that too was false. She is, and always was, a Christian. So why spread the deception? Maybe because Bernie Sanders, the most successful socialist democrat in America, touts himself as a Jew who opposes Israel, and Salazar wanted to emulate her idol. When confronted by reporters and asked why she lied, she called the question "racist." And you know what happens when a democrat uses the word racist in an argument - it's their version of a kibosh. They assume they win. Then, she lied about graduating from Columbia University, you know, because that looks good. Salazar called this lie an "error." Now Salazar expects us to pretend that she is a believable MeToo victim. But how could we? She has a proven track record of deceit, and the Keyes accusation reeks of political advantage. David Keyes is everything that Salazar opposes: white male, right-wing Jew, who works for the Israeli government. And Salazar, as we learned from the immigration fib, is a fan of victimizing herself. Moreover, she refused to specify what conduct in particular she believes was assaultive, casting further doubt on the legitimacy of her contention. Nevertheless, Salazar's declaration of victimization resulted in a predictable response: joinder of claims via MeToo mob. Eleven additional women made allegations of "inappropriate behavior," according to The Times of Israel. Keyes responded to the MeToo mob accusations as “deeply misleading" and "categorically false.” But Salazar's MeToo mob won. David Keyes had to take a leave of absence from Netanyahu's office. The MeToo mob claimed Keyes’ career. But while the described behavior may have been unconducive for courtship, it did not approach the standard of assault or sexual crime. Indeed, the difference between a man acting unmannerly and a man engaging in a criminal act must be more carefully distinguished in our society, lest we believe it is time to forego the concept of defamation. Although the MeToo mobsters have professed that they are not worried about sullying an innocent man's reputation with falsified accusations. 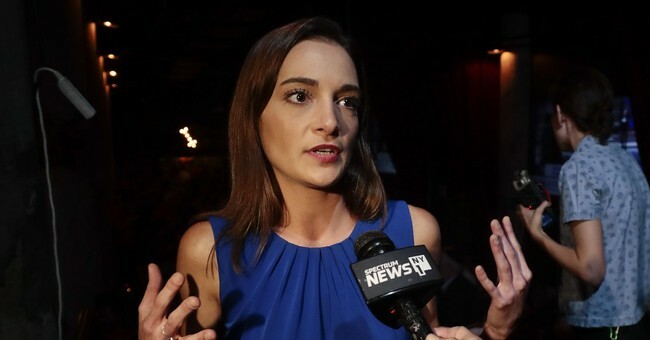 Lacking any repercussion for her pervasive dishonesty, socialist Julia Salazar will be winning office come November, as there is no Republican running against her. Brace yourselves for the circus that is sure to ensue.